What’s the first thing you do once you get to work on a Monday morning? You open your email and immediately start typing out responses no doubt. While this might seem like the most productive thing to do, this kind of reactive thinking has a negative impact on your creativity and your productivity. 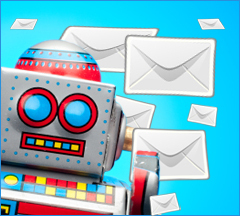 Reacting to your emails like a robot answering commands means that you’re not giving yourself time to think things through, to gather information or think innovatively. Instead, you are allowing outside influences to govern your focus. So, before you open your inbox, map out what you want to achieve this week and plan your time around it, not around your emails.